In growing numbers, cities are ending their red light camera programs under pressure from a vocal minority of people who dislike the automated violation monitors. 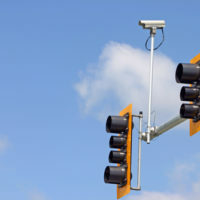 A recent study conducted by the Insurance Institute for Highway Safety (IIHS) has discovered that red light cameras have prevented hundreds of fatal accidents across the US, and that disabling the devices causes a substantial uptick in serious and fatal injury accidents. The IIHS study looked at the number of accidents which resulted in injury or a fatality in 2014. The study compared accident rates in communities that had an active red light camera program, ones that had never had a red light camera system, and ones that had disabled their red light cameras. According to the study, communities with red light cameras in place experienced 21% fewer fatalities resulting from red-light-running accidents than they would have without the cameras, and that they experienced 14% fewer fatal crashes of all types at intersections with a traffic signal. Cities that had deactivated their red light cameras experienced a 30% jump in fatalities resulting from drivers running red lights, and a 16% jump in all types of fatal accidents occurring at intersections with signals. Researchers speculate that the fatality rates fell in all categories of accidents due to the fact that drivers are simply more cautious about driving safely through lights with a red light camera. Over the course of 2014, roughly 126,000 individuals were injured in accidents caused by a driver running a red light. 709 of those injured died as a result of their injuries. In the majority of cases, those killed in the crash were not in the car that ran the red light, but were instead a pedestrian, cyclist, or driver who had entered the intersection on a green light. The IIHS estimates that, across the 79 cities included in its study of the effects of red light cameras, the cameras have saved nearly 1,300 lives during the years that they were in operation. While being the recipient of a red light camera ticket may feel frustrating, the cameras may be a literal life-saver for you or a loved one. If you’ve been injured in an accident caused by a negligent or reckless driver, seek the compensation you deserve for your injuries by contacting the skilled and trial-ready Hudson Valley personal injury lawyers at Rusk, Wadlin, Heppner & Martuscello, LLP for a consultation on your case, at 845-236-4411 (Marlboro), or 845-331-4100 (Kingston).